A beautifully illustrated children's story that teaches about families and looking after one another, and the God who loves us all. Some days, everything seems to go wrong and everyone feels grumpy. And sometimes, not even a hug from Mum can fix things up. This beautiful story from Stephanie Carmichael and Jessica Green contains a wonderfully clear message about the disappointments of life and the goodness of God. 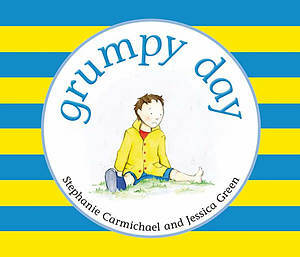 Grumpy Day by Stephanie Carmichael and Jessica Green was published by Matthias Media in September 2011 and is our 39778th best seller. 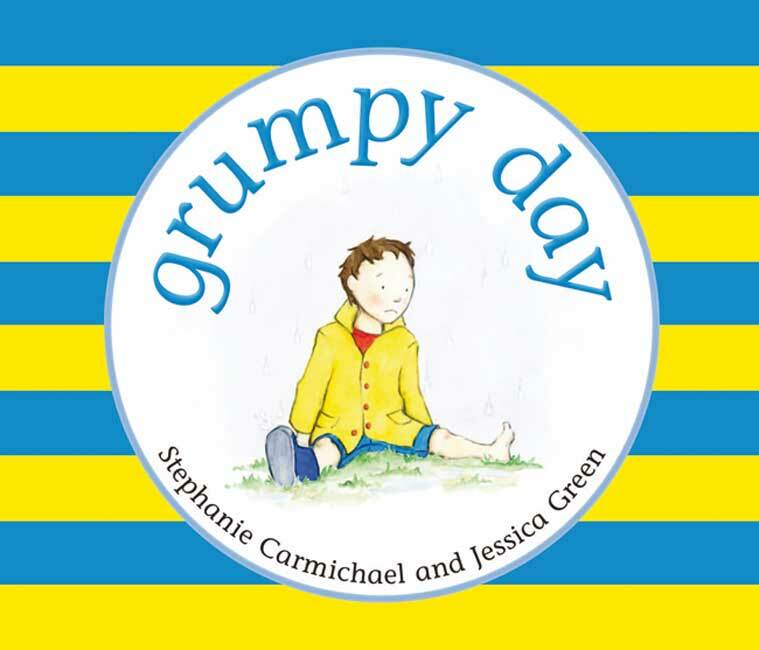 The ISBN for Grumpy Day is 9781921896217. We all have grumpy days, not just the children, and grumpiness can be catching! This story for young children is an ideal way to help a parent talk to children about this – there is a box of ‘Notes for parents’ opposite the title page. First little Ben has a problem with his wooden blocks, then his older sister Emily with her soft toys and her train, while big brother Ben is miserable because it is raining and when he goes outside in his coat and boots to play, things get even worse. I can remember days like that with my children – they happen in the best of families! Ben’s Mum has the right idea, She comforts the smaller ones and suggests a way for them to play happily together, then goes outside to rescue Luke from a puddle and explain to him that God sends the rain for a purpose: that their neighbour no doubt wants the rain to nurture his fruit trees (the book being Australian says orange trees but they could just as well be apple trees) and sits on the step with Luke and says a prayer with him. That didn’t stop the rain but it did help Luke to understand. Charming and with a distinct message. Got a question? No problem! Just click here to ask us about Grumpy Day.